Twitter, Facebook and Google Plus – Can We Really Compare Them? This is clearly the age of being a netizen, so much so that you will find even your next door 12-year old being busy doing something with his keyboard. Take a closer look and I am sure you will find him doing what most grown-ups like doing. Social networking! There have been a host of social networking sites, like those of Orkut, Hi5, and MySpace, dig, to name a few. But, clearly there seems to be three names that will top the list.viz, Facebook, Twitter and Google plus. Most of the young lads and lass would be found devoting time to all the three. But, which is the one that you would pick out of these three? There can be clear arguments. Let’s us find out. 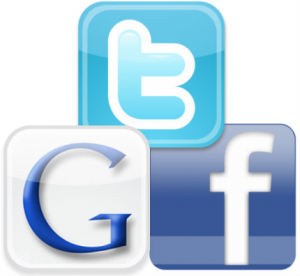 Twitter, Facebook, Google plus – What are they? Facebook is the oldest among the three. Started way back in 2004, it gave a tough competition and sounded the death knell of Orkut, which was a subsidy of Google and then a hit. Twitter started next. The main aim of twitter was to be a micro-blogging site but at present it serves a dual purpose of social networking site and a micro-blogging site. The tagline of twitter says it all – ‘instantly connect to what’s more important to you’. The attractive thing about twitter is however these two features. They are ‘followers’ and ‘following’. The latest entry in the world of social networking is however by Google’s own Google plus. The main aim of Google was to steal the hype that existed around Facebook. It occurred as a major showdown of rivalry when Facebook launched its own mail services. Now, let us try and compare some of the features that the three offers. The market that each appeal to, is quite varied. For instance, Facebook appeals mainly to the section that is non-geeks. Twitter is for the social-conscious-group type and Google plus is for the geeks (well not really, since there are a lot of tutorials on how to use Google+). The number of users could have been a point for comparison but more importantly it is amusing to see how quickly they reached the million figure mark. If Twitter did it at a good rate, Facebook bettered it and Google plus smashed both of them in taking less than a week. Can we compare these three? While Facebook is a two-way connecting tool, Google plus and twitter are both one-way following. The presence of friend lists in Facebook is substituted with circles for tracking in case of Google plus and lists in case of twitter. Twitter does not have any group options; however Facebook subscribes to it and thus is a hit. On the other hand, Google plus have circles which are not exactly groups and these circles promote limited sharing. Facebook and Google plus both have comment threads but this important feature is missing in Twitter. This is one of the many reasons that users have abandoned Twitter and many feel that Twitter is boring. The name of a user is mentioned in the same way in Facebook as it actually is where as in Google plus and Twitter it is preceded by a ‘+’ and ‘@’ sign respectively; not something that is worth of comparing but it has more to do with ‘standing out from the rest’. Coming to the shared contents visibility, Twitter can act as both an open profile and a private profile. In open profile everyone can see the contents that user shares whereas in a private profile contents are shared in a variety of ways. It can be shared with only friends, or friends and their friends, everybody or a particular list of friends. Google plus has the same feature to that of Facebook. Now what does a user see? In twitter, he will see what the people that he follows are publishing. In Facebook, he will see whatever his friends publish. However, in Google plus he will just see what people who have put him in a circle publish, provided that his publish is for that same circle. Facebook’s best part is about relationships and adaptability. Twitter specializes in being a light weight tool with better mobility, simplicity and reach but devoid of important features. Best of all, Google plus sums up all these features of Facebook and Twitter and spices them up with better privacy and services bundling. Jane also writes for Coupon Triumph, a discount coupon site that features coupon deals like auto trader and woot discounts. Here are a couple of them for you: auto trader promo code, woot.com coupon. I would like to start with one small “beef” I have with the article before I get to commenting on the topic itself. This is the real world, not the Matrix. Us Geeks don’t jack-in and download knowledge and know how to use sites like Google+ in a few seconds or born with Google+ knowledge or any other “Geek” knowledge. We all have to learn how to use everything before we can become Geeks and even to maintain the title. Just wanted to get that fact straight. Now, as for the topic the answer is simple, yes, they can be compared. As you described each site has it’s purpose and specific features that make them unique. In my opinion G+ is the best, not only does it have some of the best features of both Twitter and Facebook but it also makes them better and adds even more features. I don’t mind not having everyone I follow follow me because sometimes some people are boring and I am just not always interested in hearing about their boring days at home or how they all of a sudden found God and now that is all they post about. I have no beef with god, just with people who seem to go from hardly believing to to almost preachers overnight. But that’s just me, anyways. The best thing about G+ is the ability to follow people who I am interested in and to actually be able to interact with them directly, especially when they choose to circle you as well. Kinda makes me feel important when they do add me to a circle. For now i don’t think people will drop Facebook in a rush, but i do believe that as G+ improves and more and more people get use to using it, it will eventually share the throne with Facebook, possibly even dethrone it someday but not because everyone dropped Facebook. Best of all, Google plus sums up all these features of Facebook and Twitter and spices them up with better privacy and services bundling. I see what you’re saying and i fully agree but it will take long time until facebook will be overthrown by G+. Though, G+ functionality is way better than Facebook’s, the majority of users are on G+. It’s too early to decide, but statistics shows that the Google+ is the first social networking site that gained a huge number of users in the first month of its operation, so there is a big chance that it can outperform Facebook. I wonder what will Facebook do to stay as the number 1 social networking site. There are a lot of differences on this 3 giants of social media, particularly Google plus. Twitter and Facebook is focused on socializing with other people and meeting new friends. I think Google plus is created just to rank sites. Of course not. They are different animals. I think it will be interesting to see how it all plays out. I love the sleek and user-friendly interface of G+, but the fact remains that until the majority of my 600+ friends on FB migrate over to that platform, it doesn’t make sense for me (and I’m guessing many others). Using two different sites is a time drain, so for now at least, it’s still FB for me! Is it true that Facebook will really end on November? Nice share! Thanks a lot for sharing this. For me, I don’t think we can really compare them as they’re not operating as the same models, just as the same social media, with different features. I think Facebook is the best among in these 3. It has good user friendly interface too. Most probably Google plus will replace Facebook’s place in the future. Google had to do something. When facebook took over as number one most visited site, I would think the nice folks over at Google were scrambling. After buzz and the long list of failures they need a hit. Looks like they may have found it. I don’t think comparing is the best thing to describe which is which. The three social network has alot of comparison and contrast but the three plays a big role not just in socializing or networking or connecting its also useful in business to network and promote your business. Yes we compare them , And now i think that Google + will be top and most hot favorite in the future . Twitter is not a social media web site . but we can’t communicate people correctly on twitter . Comparing them is insane! These three sites or services have made a lot of contribution in the social media and internet marketing, all three made sense. They have three different approaches and systems but they have one common goal. If they have different goals, it will be easy to compare. The three social network has alot of comparison and contrast but the three plays a big role not just in socializing or networking or connecting its also useful in business to network and promote your business.These sites drive some good amount of traffic.